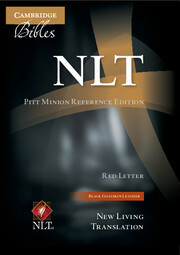 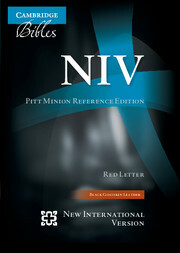 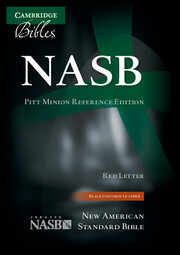 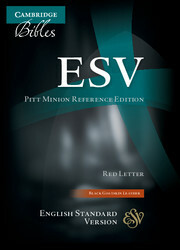 The New Living Translation was translated by 90 leading Bible scholars from the ancient texts. 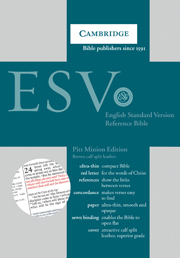 It employs natural, conversational English accessible to people of all ages and a range of educational levels, making it particularly suitable for people new to the Bible and for public reading. 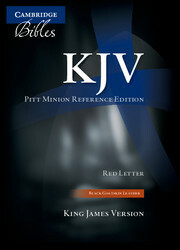 The slimline Cambridge Pitt Minion format is widely admired for its compact but clear type and its elegant binding styles. 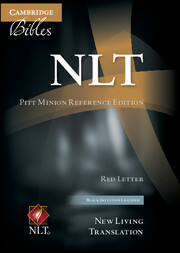 In the NLT editions the words of Christ are printed in red and there are full cross-references, a dictionary/concordance and maps. This is a Bible binding of the very highest quality, printed on very thin and light India paper, with beautiful art-gilt edges. 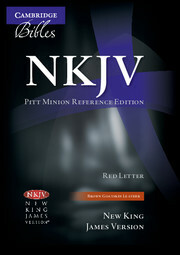 The pages are Smyth-sewn, giving the books plenty of support and allowing them to stay flat once open. The cover is made from goatskin leather, a supremely supple and flexible material, which not only looks and feels good, but will last for many years.